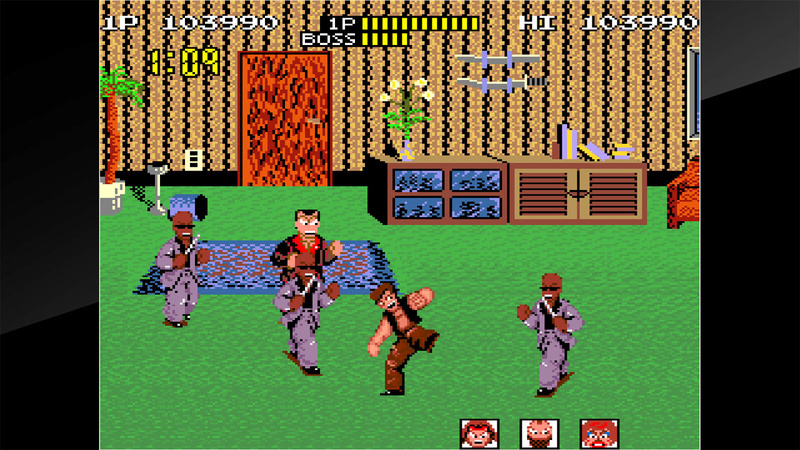 Save your good friend Hiroshi! 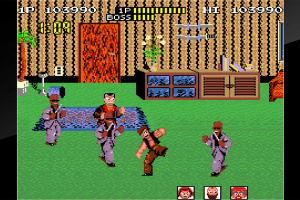 Your enemy: the mob. 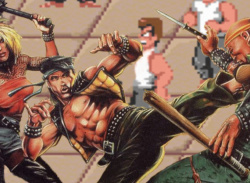 In this battle your life is on the line! 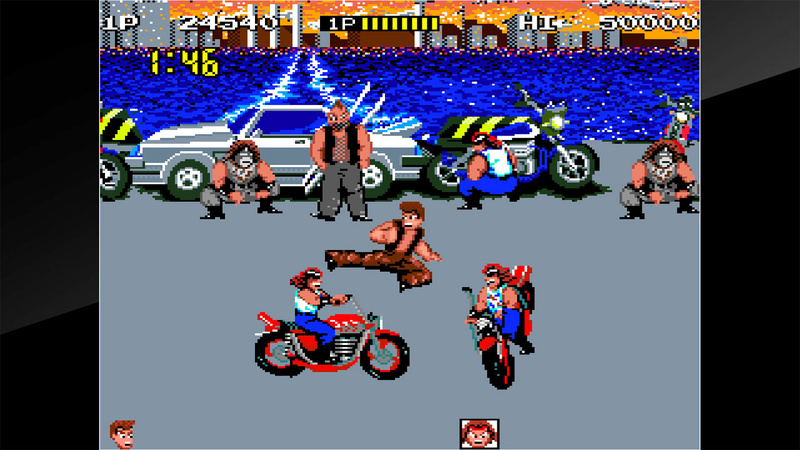 "Renegade" is an action game that was released by Tecnos Japan in 1986. 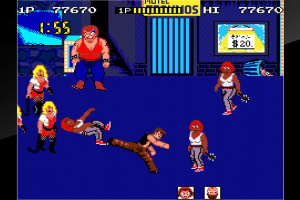 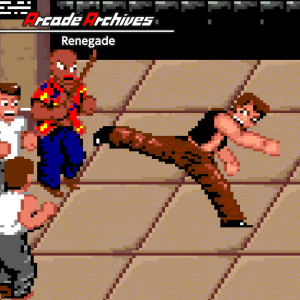 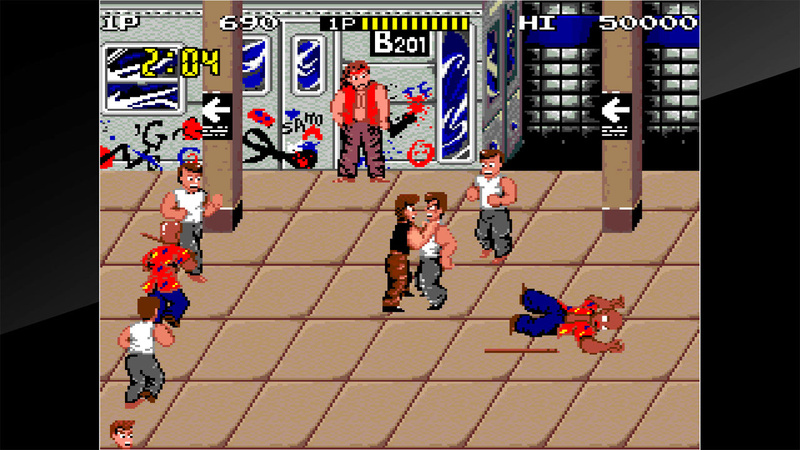 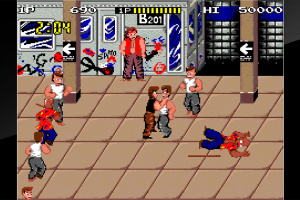 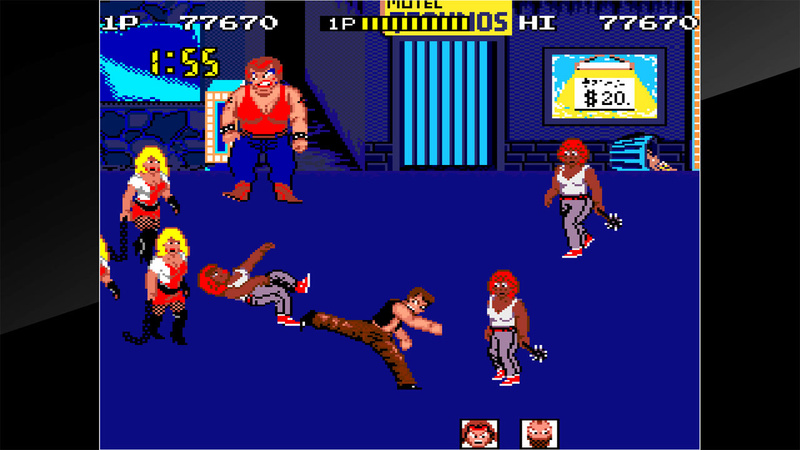 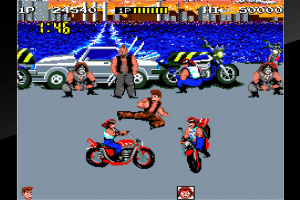 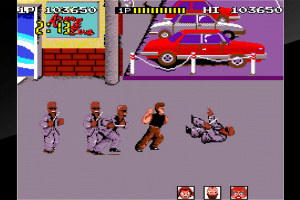 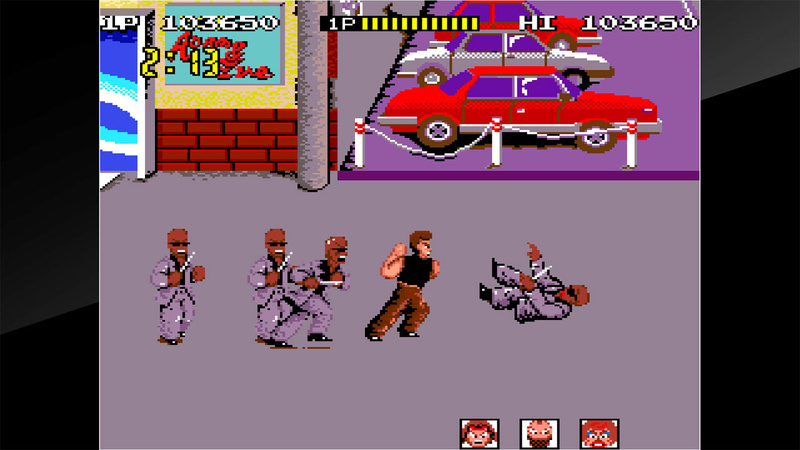 In "Renegade", players control a vigilante (named Mr. K), who fights a variety of street gangs on his way to save his girlfriend.